Sports betting has been around for a very long time. There are currently many bet markets, and these have only made the activity more interesting. The basic type of sports bet is the two-way bet where you would place a wager on either of the two teams winning. Now, you can place wagers on many different sporting events, and you may not even have to wait till full time for some of the bets to be settled. For example, if you place a wager for a team to score more than 1.5 goals, your bet will be complete as soon as the team scores the second goal. An Asian handicap is aimed at making the chances of either team winning or losing as close as possible to 50%. The handicap is set based on the known information on the two teams. A handicap of 0 means that both teams are equally as likely to win the match. For example, if the home team is given a handicap of -1.0, and the away team is given a handicap of +1.0, the home team will have to score at least two goals in order to bet the away team. This form of sports betting involves the setting of wagers on the number of goals that will be scored in the game. You do not need to guess the exact number of times the goals will be scored. Instead, you will guess whether it will be under or over a certain number. In sports betting, the most common line set for over/under betting is 2.5. If you think a team will score two or fewer goals, you will set your bet as ‘Under 2.5′. If you think they will score three or more goals, your bet will be ‘Over 2.5’. Fixed odds sports betting is common in online sportsbooks. A fixed odd sports bet is one which has fixed returns or losses. For example, if you wager £200 on a team whose odds of winning are set at 3.0, your expected return is £600. This type of bet is also referred to as match bet, and it is used as opposed to spread betting. Unlike fixed odds sports betting, this form of betting has a range of possible returns. In spread betting, you would get an extra money reward for every occurrence of an event above a certain threshold. Live betting is one of the most popular sports betting markets. It involves the placing of wagers after the game kicks off. This option takes away the need to study the statistics of the various teams. The odds will change as the game goes on since they have to reflect the prevailing statistics of the matches. The changes in the odds will be affected by goals, ball possession, and even yellow cards. 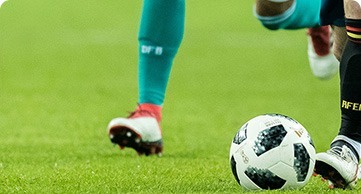 Whenever something significant happens in the games, the live betting feature may be paused momentarily so that the computer algorithm can calculate the new odds. Sure betting is a strategy which ensures that you always make a profit from the sports matches. Players take advantage of the variations in the odds in different sportsbooks to come up with these bets. An example of a sure bet is a situation where the odds of two tennis players are both high. For example, the odds of Player A winning can be 2.15 and those of Player B can be 1.95. If you stake £47.56 on Player A, and £1.95 on Player B, you will be guaranteed a small profit from the match. Accumulator or multiples bet is a wager that combines four or more selections. The overall odds will be calculated by the computer algorithm. You can only win an accumulator bet if all the selections win. That being said, some casinos now offer an ACCA insurance which offers you a cashback when one selection leads to the loss of your accumulator bet. Multiple bets with 2 selections are referred to as doubles, and those with three selections are referred to as trebles. ACCA bets do not usually cover doubles or trebles. System bets include both accumulator and single bets. Unlike regular accumulator bets, you will not lose all your money when one bet fails. A system bet has to include a minimum of three and a maximum of 8 picks. Casinos that feature system bets usually have an icon alongside the bet slip which is labelled ‘System’. After making your selections, you can click this icon to view the available system bets. Details on the different system bets available is also usually provided. The total stake of your system bet is calculated based on the number of possible combinations. Half time bets are made on the events happening in the match during the second half of the game. Nothing that happens in the first half is considered when making half-time bets. Before the matches even start, the bookmakers will decide on when the half time period will start. They will keep adjusting the odds for the half-time bets as the first half is played. Half-time bets are popular with games like football, basketball, and American football. These games have clear half time periods, and that makes it easy for the bookmakers to set up the half-time bets. Correct score bets allow you to make wagers on the final score of the game. These bets have very high odds, but they can be difficult to get right. An example of a correct score bet would be 1 to 1. This means both teams will score exactly one goal each by the end of the game. It is possible to make a correct score prediction of the results at the end of the first half. These bets also have high odds. You should study the participating teams thoroughly before making a wager on the correct scores of a match. A double chance bet allows you to cover multiple bet possibilities with a single bet. In football, the double chance bet is commonly used for the win, draw or lose bet. For example, the bookmaker can allow you to bet on the home team winning and, at the same time, you will be betting on the away team winning. In such cases, you will only lose if the game ends in a draw. Double chance bets usually have low returns since their risks are also very low. Draw no bet is a common term in the sports betting world. It refers to a situation where a person wants to bet on one team, but they don’t want to be affected by a draw. In case the match ends in a draw, the player will get their money back. You can only lose such a wager if your team is beat by the opposing one. A draw no bet wager allows you to reduce your chances of losing a bet. The odds will be adjusted to reflect the reduced risk of losing the wager. This guide should help you learn how to bet on football or any other sports. You should carefully analyse these betting markets before making a sports bet. It is advisable to go for a bet with reasonable risks and high returns. If you are more interested in a consistent but slow return, you can consider using the sure bet option. At the end of the day, it is up to you to decide how you will bet on these sporting events. Remember to always gamble responsibly.